BayesiaLab 101 Course in Washington, D.C.
Wednesday, June 5, 2019, 10 a.m. – 5 p.m.
BayesiaLab 101 is a new short course introducing you to Artificial Intelligence with Bayesian networks for research, analytics, and reasoning. 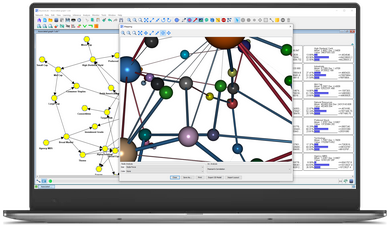 This course was developed for analysts, scientists, and engineers to help them improve their research workflows by employing Bayesian networks as a practical framework. Understand how Bayesian networks fit into the "analytics landscape" of data science, predictive modeling, machine learning, and Artificial Intelligence. Learn about the principles of the Bayesian network formalism. 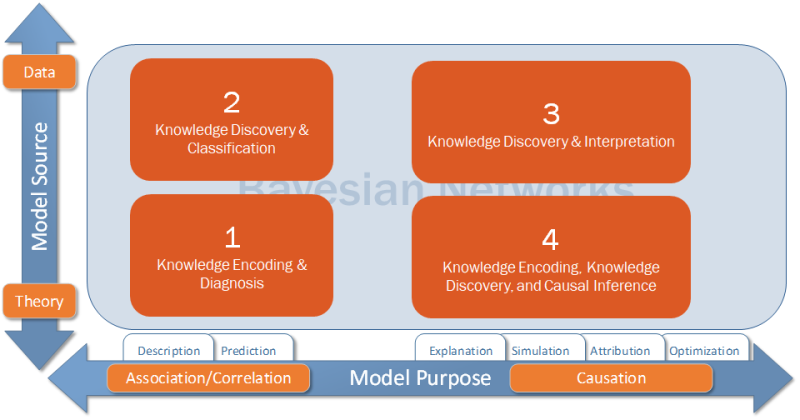 Practice elementary knowledge modeling and probabilistic inference with Bayesian networks and BayesiaLab. Understand the crucial difference between observational inference (prediction) and causal inference (intervention). Use BayesiaLab's supervised learning algorithms to create predictive models. Experiment with BayesiaLab's unsupervised structural learning algorithms for knowledge discovery and visual exploration in 2D, 3D , and using Virtual Reality. One-day classroom session, consisting of lectures and practical exercises. 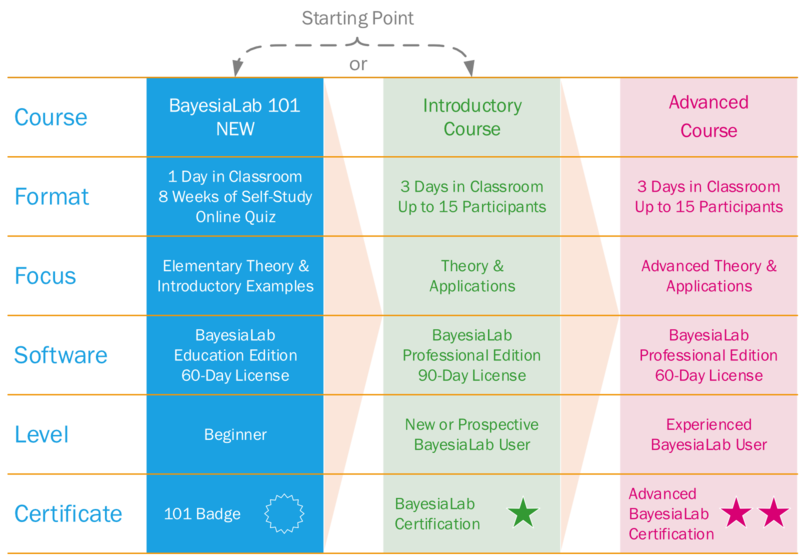 60-Day BayesiaLab Education Edition license for classroom use and individual practice. Access to all presentation materials, exercises, examples, and datasets for self-study. Access to a screen recording of the classroom session. BayesiaLab 101 Certificate of Achievement upon course completion. The number of variables/nodes is limited to 50. The maximum size of a dataset for learning is 1,000 rows/records. Who should join the course? While computer scientists are welcome to join the course, please note that the discussion of algorithms and program code is out of scope. There is no formal educational requirement, although most participants will have a bachelor's or master's degree. Students are welcome to join. You should have some familiarity with basic statistical concepts and methods. For instance, you should understand what a regression is and what parameters mean. No programming or coding skills are required. You will exclusively use the graphical user interface of BayesiaLab for all exercises. For a general overview of Bayesian networks, please download a free copy of our book, Bayesian Networks & BayesiaLab. Although by no means mandatory, reading its first three chapters would be an excellent preparation for the course. How to prepare for the classroom session? You need bring a WiFi-enabled laptop or notebook computer (Windows or macOS) to the classroom session. Your computer needs to be able to connect to the Internet during the classroom session to access data files for the exercises. For the classroom session, using a mouse as a pointing device is highly recommended. Approx. one week prior to the classroom session, you will receive download, installation, and activation instructions for BayesiaLab. Please download and install that specific version of BayesiaLab prior to the start of the classroom session. Note: Do not install a trial version of BayesiaLab. You may require Administrator rights on your computer to install BayesiaLab. Please check with your IT department for the relevant permissions or bring a privately-owned computer instead. Technical support for installing BayesiaLab will be available during the week prior to the classroom session, but not on the day of the session. All technical issues need to be resolved beforehand. Stefan Conrady has over 20 years of experience in analytics, marketing, and strategic planning with leading automotive brands, such as Mercedes-Benz, BMW, and Rolls-Royce Motor Cars. Stefan is a native of Ulm, Germany, but his career has spanned the globe, having lived and worked in Chicago, New York, Munich, and Singapore, just to name a few. 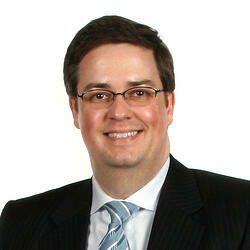 In his most recent corporate assignment, he was heading the Analytics & Forecasting group at Nissan North America. Today, in his role as Managing Partner of Bayesia USA and Bayesia Singapore, he is recognized as a thought leader in applying Artificial Intelligence for research, analytics, and reasoning. Stefan's tutorials, seminars, and lectures on Bayesian Networks are widely followed by scientists who embrace AI innovations to accelerate applied research. In this context, Stefan has recently co-authored a book with Lionel Jouffe, Bayesian Networks & BayesiaLab — A Practical Introduction for Researchers. 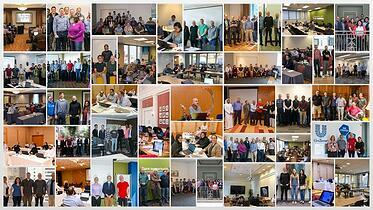 How does the BayesiaLab 101 short course compare to the three-day BayesiaLab Courses? BayesiaLab 101 is an excellent preparation—but not a requirement—for the more comprehensive three-day BayesiaLab Courses that we offer on a regular basis around the world. Compared to these longer courses, BayesiaLab 101 provides an abridged introduction focusing on elementary theory and basic examples (see comparison chart below). You will receive a full refund of your course fees if you cancel your course registration at least 7 days prior to the date of the classroom session. If you cancel less than 7 days before the the classroom session, you will not receive a refund, but you can apply your course fees as a credit to future training programs or BayesiaLab software products (prevailing list prices apply). If you cancel on or after the date of the classroom session, you will neither receive a refund nor a credit. Bayesia reserves the right to cancel the course up 7 days before the classroom session for any reason. In this unlikely event, all fees will be refunded to you in full within three business days after the cancellation. Bayesia is not responsible for any expenses that you may incur in the context of a course cancellation. If Force Majeure prevents conducting the classroom session as planned, the session will be rescheduled to a future date. You will be enrolled automatically in that new session but can request a full refund of the course fees instead. Bayesia is not responsible for any expenses that you may incur in the context of a cancellation or delay due to Force Majeure. 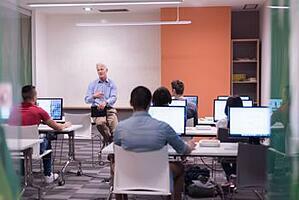 The BayesiaLab Education license is not renewable beyond the 60-day license period that is associated with the course. All travel and accommodation expenses in conjunction with the course are your own responsibility. The BayesiaLab software is licensed by Bayesia S.A.S. and subject to their End-User License Agreement. All course materials are under copyright by Bayesia USA, LLC. You may not copy, distribute, or resell the course materials without the explicit written permission of Bayesia USA.